Students from Alarcos School in Valverde (Ciudad Real) have taken part in the tasks related to the transplanting of two trees from the playground to the leisure area next to the sport facilities of the district. Some years ago, these students planted an Olive tree and a Pomegranate tree in the playground. They have been taking care of them all this time and they have seen them growing. Soon, the construction of a new lecture room building will be started. Hence, the trees had to be moved as they were placed in the area where the new facilities will be built. Therefore, since the students were informed about the new construction, they asked for the effort to save the trees. They made themselves available to collaborate. Today, their request has come true and the Olive tree and the Pomegranate are in a safe place near the sport facilities, where the students will continue taking care of them as well as the Valverde's inhabitants. Over seventy children accompanied by their teachers arranged to meet on 18th of March in Parque del Pilar in Ciudad Real in an instructive session on the occasion of the celebration of the Tree’s and Water’s Day. The pupils coming from the schools of Valverde and Las Casas travelled to Ciudad Real since the beginning of the school day to take part in the different activities scheduled by the Scope of Environment of the Ciudad Real Local Government. The activity was set out with the main goal of making students aware of the importance of green areas and water in the quality of citizens’ life. A brief explanation started up the activity and the children were put into groups to carry out several educational tasks. All the groups took a walk around the park paying attention to the gardeners’ explanations about the different species of trees and their characteristics as well as their beneficial action to the town. Afterwards, the pupils were involved in planting new trees to help in the diversity of this important part of our town. ENO Green Cities Network is a supporting network for the ENO Programme. It differs from other green city networks as it's based on educational co-operation between schools and cities and sharing concrete practises for the environment between member cities. As tree planting is the most popular activity in the ENO Programme, the approach in ENO Green Cities is simple and easy to adapt. In minimum, accepted cities have to offer areas, seedlings and assistance for tree planting activities of schools every year, at least once in a year. Cities take care that these areas will be safe and remain unconstructed. Cities will get a membership in the ENO Green City Network and become official cities for ENO 100 Million Trees 2017 Campaign. This campaign was highlighted in the overall summary of Rio+20 Summit commitments, out of over 700 pledges. Three new cities joined ENO Green Cities today. They come from Croatia (Krk), Spain (Ciudad Real) and Peru (Lima- Ate). CONGRATULATIONS! Network covers now 55 cities or regencies in 22 countries. Environment Online - ENO is a global virtual school and network for sustainable development. It has been running since 2000 and covers almost 10 000 schools in 157 countries. Tree planting has been the most popular activity in the ENO Programme. Schools aim to plant 100 million trees by 2017. ENO Headquarters lies in the city of Joensuu, Finland. Nyanza is a cultural hub - formerly referred to as Nyabisindu, a colonial name. It is Rwanda’s heart and center of cultural enlightenment, served as resident and royal capital for several kings of Rwanda e.g King Musinga Yuhi V, Kigeli and Mutara III Rudahigwa (1932-59). It was perceived as an influential centre in politics, culture, economics and tourism. And today still holds the country’s cultural heritage tourism envisaged through the two museums — King’s palace at Rukali and the national Art gallery at Rwesero. The court became the home of the artistic and intellectual activities and was also a place of economic exchange. Today, a replica of the traditional Royal palace sits at Nyanza - Rukari. The impressive, enormous structure is made entirely with traditional materials, has been painstakingly restored to its 19th century state and now maintained as a museum. This palace offers a glimpse into Rwandan life as it was in the precolonial days, where we have an exhibition related to monarchical history and administration from the 15th to the 20th century in Rwanda. From December 1st 2014 ENO-Rwanda has lend a hand to enrich the city as one of the green cities in world. This year , 3rd of October 2015, Environment Online planted 3 500 trees in partnership with Nyanza district. The event involved 8 schools (E.S. st Espirit, GS Mater day, College Maranata, E.S de Nyanza G.S Nyanza B, ESPANYA, and IPRC Kavumu) with more than 750 students, district officials, military and police officers. The activity took place in different parts of the city with main theme; Sustain peace for sustainable Development. The action was focused to maintain Nyanza as a green city without forgetting the role of children as advocators for present and future clean environment and peaceful nation for sustainable development. The activity was launched at around 9:00 am ending 12:30 pm by the Nyanza sector executive officer on behalf of a Mayor and ENO Rwanda country representative, there after all students, ENO Rwanda team and district officials gathered at stadium for short speeches to address the students the importance of planting trees. District official, head of schools and military officials present emphasized on tree planting as an action of environmental protection for the healthy life and assured their partnership with ENO in greening the entire district. The schools presented invited ENO-Rwanda to open ENO clubs at their schools. In his speech, ENO-Rwanda coordinator emphasized on two main things: how to resolve conflicts, small or big ones, how to build peace and tolerance by educating children as an essential agents for achieving sustainable development in schools and in the communities as well as on the national level. It is essential to take responsibility and work together to avoid quarrels and to find a solution which are suitable for all. 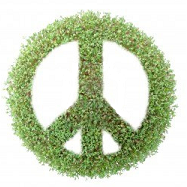 We need to work for peace in our daily lives. He added that young people still have fresh mind and more energetic thus it’s vital to train them to protect environment and grow with the mindset, by doing that we will insure present and future sustainability. He insisted that, ENO Programme focuses on Social, Economic and Environment Sustainability through teaching children the ideology. Finally, ENO-Rwanda would like to extend the sincere thank you to ENO- International, Government of Rwanda, Nyanza District, Military and police Nyanza District and all the schools participated during the ENO TREE PLANTING DAY FOR PEACE NYANZA Green City. 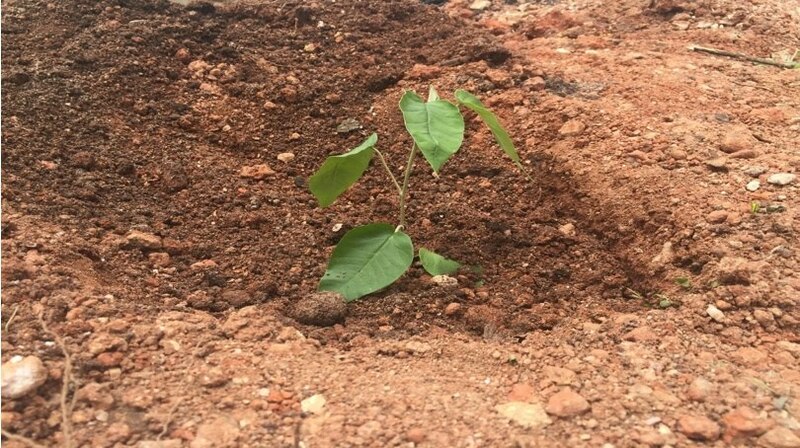 I plant trees because I know they are source of good air, rain and provide shade during sun shining. Without trees we cannot have healthy life. We also learn about peace which is important for development. I will be coming back to visit my tree which will be reminding me to live peacefully with others. I also love my time here because I have made new friends from other school. I thank ENO staff because they are good; they love. A Rwandan Army and police officer planting trees with student on the event Sustain peace for sustainable Development. ENO –Rwanda Coordinator launching the tree planting to make Nyanza a green city: Sustain peace for sustainable Development. Rwanda Defense Force officer Nyanza Sector Chief Executive officer and two other students in tree. ENO Volunteers with group of students at Nyanza Genocide memorial site after planting tree and visited last year planted trees. ENO-Rwanda Coordinator explaining to different groups students about ENO programme. Students gathered at the stadium during different speeches from the officials. For these girls planting trees provide healthy and beautiful places for children to play learn and improve pride of their city. One of the trees that were planted last year in Nyanza town, Was an exciting moment for everybody to see how healthy these trees are. Eleven new cities joined ENO Green Cities today. They come from Fiji, Ghana, Kosovo, Mexico and Rwanda. CONGRATULATIONS! Network covers now 53 cities or regencies in 19 countries. The ENO Programme has spread to schools in 157 countries. In Rio+20 Summit ENO made a commitment of planting 100 million trees by 2017, a pledge that was highlighted in the overall summary of all the commitments for Rio. ENO Green Cities network was launched simultaneously, to support schools in their environmental activities and ENO tree planting campaigns. ENO Green Cities cover today 43 cities or regencies around the world. ENO Green city called Muba visited ENO headquarters in Joensuu, Finland. Because of their commitment, this regency in South Sumatra wanted to make a Memorandum of Understanding with the ENO Programme. This agreement was signed at GreenStar Hotel in Joensuu, 26th of August 2013. From Muba regency, mayor of Muba, head of representative of Muba and eight departments of Muba regency were present. Muba regency will allocate 700 million Rupiah (about 46 000 Euros) for ENO in their goverment budget every year until 2015 .This money will be used for tree planting, and about 40 000 trees will be annually planted by ENO students in Muba regency. This special agreement was planned together with Dedy Kurniawan, ENO Green Cities coordinator in Indonesia. This special moment was also represented by the chairman of The ENO Programme Association, head of education deparment in the city of Joensuu and two local ENO school prinicpals. Muba delegation visited also Nepenmäki School in Joensuu, to see directly the influence of ENO and education for sustainable development at school. The first ENO Tree Planting Day was arranged 21 September 2004. It was later same year when Wangari Maathai received her Nobel Prize. Since 2004, schools and partner organisations have planted trees every year to celebrate the international day for peace. The next tree planting day will be special as ENO will celebrate its 10th tree planting day for peace. 10 trees planted in a circle represents 10th ENO Tree Planting for peace and Nobel Peace Prize Laureates 2004-2012. The theme for the Day this year is "Education for Peace". The United Nations will examine the role education can play in fostering global citizenship. It is not enough to teach children how to read, write and count. Education has to cultivate mutual respect for others and the world in which we live, and help people forge more just, inclusive and peaceful societies. ENO Green Cities take part to this event around the world! Find the official banner below. The city of Iringa and ENO Programme Association signed the official agreement for ENO Green Cities Network. Iringa applied the membership a year ago and was accepted. The official signatures were written in the municipality office of city Mayor, together with councelor, municipality manager, forestry officials and ENO Tanzania coordinator Jesca Msambatavangu. 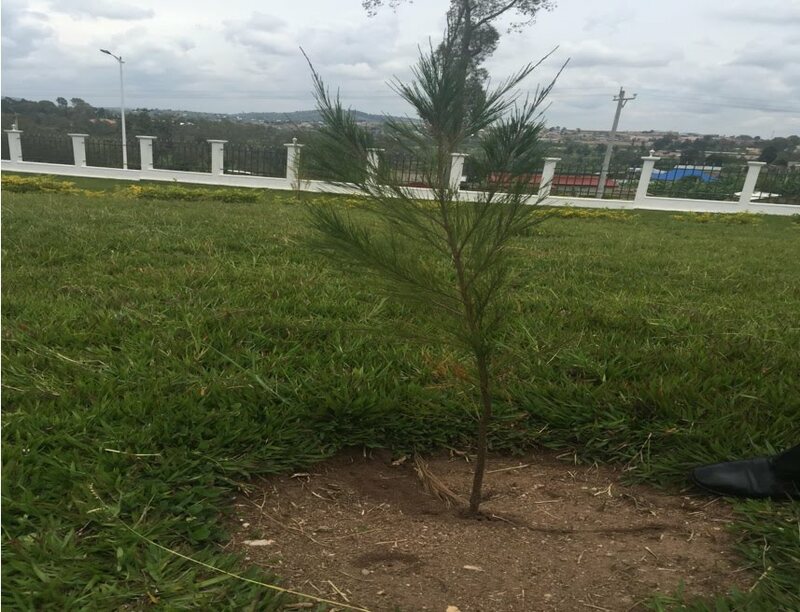 After signatures, a tree was planted in the garden of municipality hall. Event was covered also by local TV and media.